Xanthomatosis occurring in tendoachilles is more prone for recurrence with incomplete excision. Complete excision of the lesion is needed to prevent recurrence. Sri Ramachandra Medical college, 2A, Vivekanandha street, T.Nagar. Chennai-600017. India. 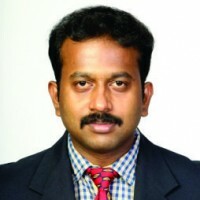 Dr. L. Senthil, Sri Ramachandra Medical college, 2A, Vivekanandha street, T. Nagar. Chennai-600017. India. Introduction: Xanthomas of the Achilles tendon are a rare interesting orthopaedic condition. There are very few articles dealing with the treatment of recurrent xanthomatosis of tendoachilles. Here we report this patient with bilateral recurrent xanthomatosis of tendoachilles. Case Report: A 37 year old male patient presented with multiple lesions in the body with bilateral swelling in the tendoachilles. The swelling was excised before three years elsewhere and there was recurrence of the lesion after 6 months subsequently. There was ulceration on the right side. The patient was treated by total resection of the lesion and reconstruction using tensorfascialata graft. Conclusion: Complete excision of the lesion is needed to reduce recurrence. Reconstruction of the defect is a challenge due to the large defect. Tensorfascialata graft results in good functional outcome of the patient even in large defects. Keywords: Recurrent Xanthomatosis, Reconstruction with tensor fascialata. Xanthomatosis is a disorder which is produced due to disturbance in lipid metabolism [1, 2 3, 4, 5, 6]. Xanthoma of the tendon may involve the tendon but can involve the ligament, fascia, or periostium . There is a predilection for metacarpophalangeal joints but the Achilles tendon and patellar tendon may also be involved [2, 6, 7]. Less commonly the lesion may affect the triceps and extensor tendon of toes. A strong tendency to recurrence was observed in surgically removed Achilles tendon lesions [4,6]. .Large swelling of the tendocalcaneus results in weakness of plantar flexion and difficulty in walking hence surgery is carried out for these lesions. This patient came with complaints of difficulty in walking and bilateral swelling in the heel. Patient was apparently normal 10 years back, during which patient developed bilateral swelling in the heel, swelling was insidious in onset, gradually progressive not associated with fever and no history of trauma. Patient had swelling in sacrum, left elbow, right knee and in dorsum of left foot. Patient was treated by excision of bilateral swelling in tendoachilles elsewhere. Patient developed recurrence of the swelling six months after the excision. The swelling was increasing in size and ulceration occurred on the right ankle. There was no discharge from the ulcer. There was no history of familial hypercholesterolemia. On examination the patient was moderately built with multiple small plaques on the upper eyelids. The swelling in both the heel were measuring about 19.5cms in length and 6.5 cm width. The non-tender swelling was firm in consistency with multiple nodules. The swelling were mobile. There was an ulcer measuring about 3x4cm on the right sided lesion. The margins were sloping there was no discharge from the ulcer. There were 10 degrees of dorsiflexion and 20 degrees of plantar flexion in both right and left ankle. Gait was short stride gait. Length was very short and there was no heel to toe progression. Below knee plaster in plantar flexion was given postoperatively. Partial weight bearing was started after 12 weeks. Four months after the surgery patient was able to bear full weight. Surgery on the right ankle was done after 4 months .The ulcer on the right side was found to have healed completely. Intraoperatively the skin was scarred and adherent to the swelling, the scarred skin was excised together with the swelling. The postoperative protocol and rehabilitation remains the same on right side. Clinical assessment was done after 9 months post surgery on left ankle and 5 months on right side. There was 20 degrees of dorsiflexion and 40 degrees of plantar flexion on both ankles. There was no calf muscle atrophy .Patient was able to walk without a calcaneus limp. Patient was able to stand on tiptoe without support. Physical activity at home and at work was normal. Ultrasound taken after 8 months showed that the Anteroposterior/mediolateral thickness of the reconstructed tendon was 1.2cms/5.8mm on the left side and 1.3/3.9mmcms on the right side. The American foot and ankle score was 96/100.After 2years of followup there was no recurrence of the lesion clinically and confirmed by Ultrasound. Histopathology: Microscopic examination showed foam cells, polyhedral cells with pale vesicular cytoplasm with round shaped nuclei. The stroma consist of stromal cells with granular cytoplasm and oval nuclei. Numerous vesicular lipoid filled spaces were found in the tissues. The tumour was surrounded by fibrous capsule .Giant cells were present in the areas of hemorrhage. There were numerous fibrous septae which divided the tumour into lobules. The microscopic diagnosis was xanthomata. Xanthomatosis of the ankle is a rare lesion and tends to recur after incomplete excision as stated by Tetsuya et al . The tendon lesions are invariably multiple and may be associated with other lesions like tuber xanthoma, xanthelesma of the skin, arcus cornea and coronary artery disease . 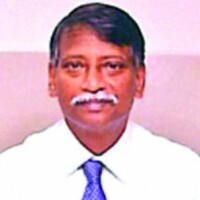 .Although xanthoma is a lesion that occurs due to disturbance of lipid metabolism S.K Roy , reported that the lesion can also occur in patients without hypercholesterolemia. The xanthomatous lesions of the tendon usually involve the extensor tendon of metacarpophalngeal joints of the fingers . This is in contrast to a review done by Friedman et al , in which it is stated that about 60 percent of the tumours in the wrist and fingers were found on the flexor surface and 40 percent on the extensor surface. Larger tendon like patellar tendon, triceps tendon is involved less commonly. The lesion may affect the extensor tendons of the toe and plantar fascia. Involvement of Achilles tendon occurs in 50% of patients . In our patient the size of the lesion was nineteen and a half centimetres and the largest size reported by far is twenty-two centimetres described by Young and Harris . Treatment is primarily directed towards lowering the serum cholesterol level some patients require surgical removal of the lesion which is painful and disfiguring [1, 2, 5, 6]. Radiation treatment has proven not to be beneficial in treating these lesions . Local excision or subtotal resection of the lesion and its association with recurrence has been reported by many authors [4, 6]. Recurrence rate of partial resection of the lesion ranges from 12% to 15% . Because of the high rate of recurrence after partial resection of tendon total resection of the tendon between the musculotendinous junction and calcaneus is recommended especially when there is severe infiltration of the lesion . Reconstruction of the Achilles tendon from musculotendinous junction to calcaneus remains challenging task. A number of procedures has been described for reconstruction of Tendocalcaneus.The use of a local tendon like (FHL)flexor hallucis longus and peroneus brevis has been suggested [8,9].Boopalan et al, suggested the use of free autologous tendon graft like gracilis, semitendinosis and fascialata. The use of free tendoAchilles tendon allograft has also been reported . Reconstruction in our patient was carried using tensorfascialata graft because the defect was larger and tendons like peroneus brevis and flexor hallucis longus would not be sufficient for reconstruction. We did not consider allograft because it is not available to us. We believe that autograft will integrate better than an allograft. It may be felt that Tensor fascia lata is a much thinner and less robust material compared to native tendoachilles but we have shown in this patient that graft hypertrophies over time. This is in agreement with the study by Tetsuya tomita et al. The American ankle and foot society score was 96/100 which was comparable to reconstruction by tendocalcaneus allograft as reported by Scagnelli et al . Xanthomatosis of ankle is a rare interesting orthopaedic condition. Recurrence is more common in these lesions due to incomplete removal of the lesion. Reconstruction of the defect after complete excision remains challenging task. Though variable options are available reconstruction using tensor fascia lata graft remains a good option and the results are comparable to reconstruction done by tendocalcaneus allograft. This case reports shows that fascia lata can provide long grafts to fill the defect. It hypertrophies with use as seen in our patient and becomes nearly as strong as the normal tendon. Xanthoma of the Tendocalcaneus has to be kept in mind for tumourous swellings arising in the tendocalcaneus .They need to be totally resected to avoid recurrence and gaps of even large proportion can be reconstructed using tensorfascialata giving excellent results. 1. Mishra U.S and Gupta S.C. Xanthoma of Achilles tendon. Indian Journal of Orthopaedics1974; 8(2):127-130. 2. 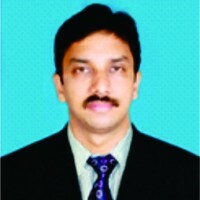 Roy S.K and Kumar S.N. Xanthomas of the Achilles tendon- A Case report. Indian Journal of Orthopaedics1983; 17(1):63-65. 3. Tetsuya Tomita, Takahiro Ochi, Hiroaki Fushimi et al. Recontruction of Achilles tendon for Xanthoma. Findings at operative re-exploration. Journal of Bone and Joint Surgery 1994; 76(3): 444-447. 4. John J. Fahey, Herbert H. Stark, William F.Donovan et al. Xanthoma of the Achilles tendon. Journal of Bone and Joint Surgery 1973; 55(6): 1197-1210. 5. James W. Brodsky, Andrew D. Beischer, Cara East et al. Cerebrotendinous Xanthomatosis: A Rare Cause of Bilateral Achilles Tendon Swelling and Ataxia . The Journal of Bone And Joint Surgery 2006; 88(6): 1340-1344. 6. Morris S. Friedman. Xanthoma of the Achilles tendon. The Journal of Bone And Joint Surgery 1947; 29 (3): 760-765. 7. Ronald O. Bude, Ronald S. Adler and David R. Bassett. Diagnosis of Achilles Tendon Xanthoma in Patients with Hetrozygous Familial hypercholesterolemia: MR vs Sonography. AJR 1994; 162: 913-917. 8. 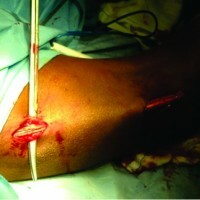 Pearce CJ, Sexton S, Gerrard D, Hatrick A, Solan M. Successful treatment of a chronically infected and necrotic tendo Achillis in a diabetic with excision, flexor hallucis longus transfer and split-skin grafting. J Bone Joint Surg [Br] 2008;90- B:186-8. 9. Gallant GG, Massie C, Turco VJ. Assessment of eversion and plantar flexion strength after repair of Achilles tendon rupture using peroneus brevis tendon transfer. Am J Orthop 1995; 24:257- 61. 10. Boopalan PR, Jepegnanam TS, Titus VT, Prasad SY, Chittaranjan SB. Open infected Achilles tendon injury: reconstruction of tendon with fascia lata graft and soft tissue cover with a reverse flow sural flap. Foot Ankle Surg 2008; 14: 96-9. 11. 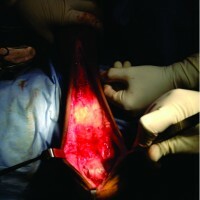 R. Scagnelli, G. Bianco and D. ImarisioCadaver bone-tendon graft for xanthomatosis of the tendo Achillis. J Bone Joint Surg [Br] 2009; 91-B: 968-71.Lepow GM, Green JB. Reconstruction of a neglected Achilles tendon rupture with an Achilles tendon allograft: a case report. J Foot Ankle Surg 2006; 45:351-5.